The ‘festival of lights’ is just around the corner and we will soon be busy preparing our homes for the festivities to come! While we shuffle between work, home, kids and the multitude of chores, why not involve our little ones in the festive spirit? Try these fun and easy DIY ideas with your children, spend some quality time with them and what more, you can also save some money on home decorations while you are at it! Get some old glasses, wrap them in tissue paper and secure tissue paper with tape. Make sure the colored paper is taller and wider than the glass measurement. Fold the coloured paper in half and make cuts along the fold. Wrap it around the glass with the fold with cuts protruding outwards. Before pasting the coloured paper, let your kids design it with paint or glitter to make it even more fun for them! Now, just place a lit candle inside the glass and you will have a soft festive glow around the house. Our beautiful Tea Light Lamps work the same magic. Cut some red coloured felt into mango leaf shapes, as many as you need to cover the width of your door way, and the red felt into the same number of small heart shapes. Paste the heart-shaped cutouts on the mango-leaf shaped ones. Border the green hearts with glitter and glue a sequin in the centre. The traditional betel leaf and nut is symbolized here! Turn over the red cutouts and fold a small section of the rectangular top such that you can slip a string through them & secure it to your doorway! Makes for a warm and festive welcome! Don’t forget to stock up on incense and room fresheners to add the welcoming touch! Your kids are sure to enjoy this and you will save time and effort in making a traditional rangoli! Take a thick transparent sheet of plastic (please do not buy a sheet, instead, find a plastic wrapper on one of your newly bought items, for example) and cut out a 12”x12” square. 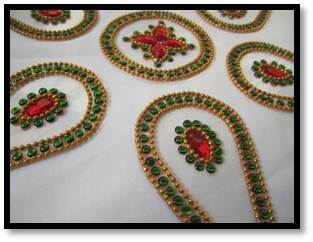 Apply glue in a desired design and apply kundan stones or sequins over it. Do this is parts so that the glue does not dry. 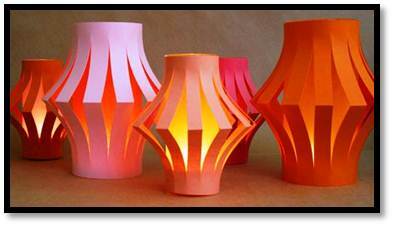 You can also make these in smaller sizes and designs which can be rearranged. This is a no-mess rangoli which can be reused anytime. What more? It’s extremely simple for kids to make! Take an old plate and some diyas. 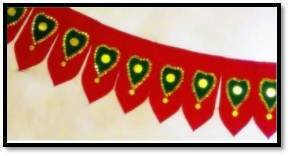 Decorate the diyas with sparkes or sequins in an intricate design and bright, festive colours. Similarly, design the plate in intricate, traditional motifs. Once dry, glue the diyas in place around the plate’s inner edge. 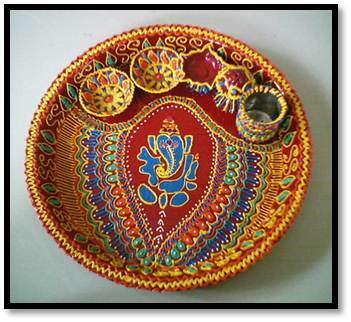 It makes for a beautiful pooja thali and can also be used as a coffee table centre piece. Also, a fun activity for kids and a money-saver for you! For the pooja ceremony, the Kansa Pooja Set made of pure bronze is a more traditional choice. Fold an A4 size colored paper in half. Get some textured paper or fabric, cut it in a size a bit smaller than the front of the card and glue it in place. 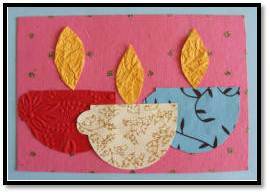 Cut 3 diyas from different types of paper and flames from yellow or gold paper and glue them on the card. You can also ask the kids to embellish the cards with sparkles or sequins! It is such a quick fun activity and makes for a very personal and lovely gift from the kids, especially to their grandparents! If your kids simply love craft, they will be thrilled to receive these Activity Kits as Diwali gifts! Hope you enjoy making some of these with your kids, decorating your home and preparing it to welcome the festive occasion. We would love see some pictures and hear ideas on how we can make our homes even more joyous and welcoming! Do join us on Pinterest for more DIY ideas! Designsponge.com: The DIY lantern idea was wonderful and was beautifully explained. Artplatter.com: Thank you for the innovative craft ideas. Our First-Ever Diwali Mela… Packed With SAVINGS For You! The ‘festival of lights’ is just around the corner, which means shopping is in full force! We know that purchases for the house, our self & our loved ones can really take a toll on our pockets during this season. So, just for you, we have some must-take-advantage-of discounts in our first-ever Diwali Mela! We have SAVINGS for your home, you and your little angels as well! Here’s a quick look at what’s in store for you! Make your home inviting with fragrant incense from Craft House & SAVE 30%! For fragrance oils, candle stands and fresheners, head over to our Nyassa section & grab a 10% discount. Beautify you home & get a 15% discount on natural, ethnic & trendy diffusers from Passion Indulge. With our 15% off on organic bed linens from Back To Basics, your home will be warm & beautiful for all those guests! 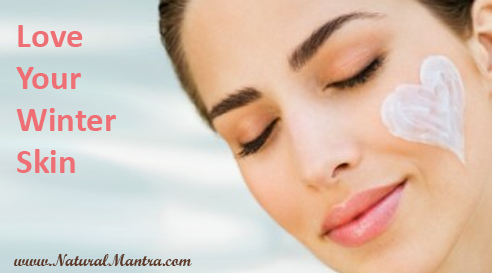 Look your best this Diwali with Neev bath & body products & save 10%! What more? Knowing that some of you would like to ‘try’ organic food without buying whole packets of it, we bring to you the Organic Starter Kit from 24 Letter Mantra. At a special 33% off, it is complete with samples of Tur Dal, Sona Masuri White Rice, Red Stick Chilly, Mustard, Chilly Powder, Turmeric Powder and Coriander Power… ALL for Rs. 199 only! If you would like to read more about organic food, please read our ‘What is Organic?’ article. In our fast paced lives, a sustainable lifestyle shouldn’t be a struggle, but it sometimes is. Our online e-commerce provides the largest selection of natural, organic and eco-friendly products in India making it accessible and affordable to all. At NaturalMantra.com you can choose from a wide selection of safe, healthy non-toxic products, all at one place delivered to your door! Not every product makes it to our virtual shelf but the ones who do make it through our selection criteria. Categories: Sustainable Living | Tags: bath & body, discounts, eco-friendly Diwali, home, kids, natural, offers, Organic products, savings | Permalink.